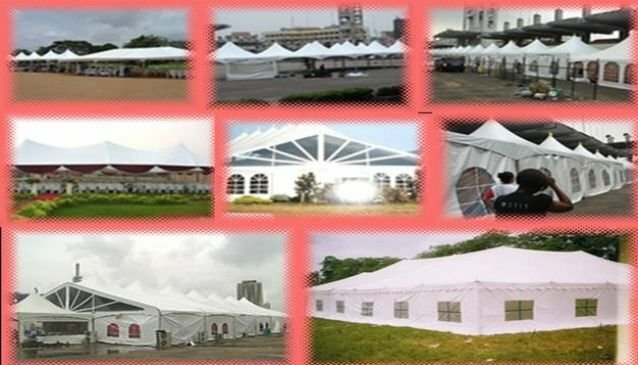 4Tees Rentals & Balloons is one of Nigeria's largest event and party rental supply company with offices in Lagos. With several years of experience coupled with event professionals and serviced staffs, they provide outstanding service everytime and makie sure you have a successful event. 4Tees Rentals offers several services aside the normal chair, table, canopy, and tent rental, they also plan and handle events like conferences, weddings cook offs, gala night and many more. Their warehouse is fully stocked with tents, tables, chairs, linens, china and satins. They are a member of the American Rental Association (ARA). Enjoy your the services of 4Tees Rental and share your experience and pictures with us using #PromoteNigeria.